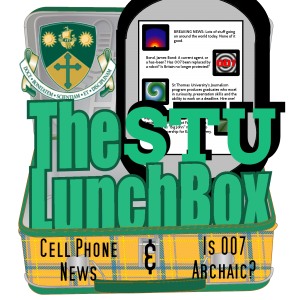 Home » Specialty » The Lunchbox » STU Lunchbox » STU Lunchbox: Cell Phone As News Source & Is 007 Archaic? On the first half of today’s show, Alex Corbett explores the cell phone as news source. What does it mean when technology has given us never-before seen access to news as it happens? They talk to journalists, philosophers and regular people to find out how the Twitter world fits into the newsroom. And in the second half of the show, Jordon Gill takes a critical look at a long-time film icon: Bond, James Bond. Has the classic character become antiquated, or is there a place for 007 in the modern world?